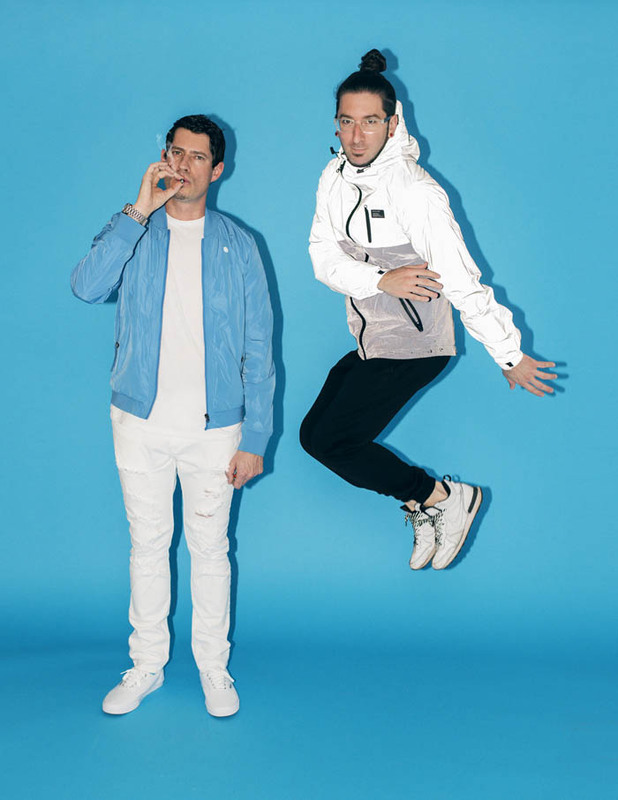 Imagine: massive tunes of heavy saxophone, banging beats, hugely inventive stage shows and the capacity to party all day and night in a celebration of audio visual joy: Introducing Colorado-based band Big Gigantic. Saxophonist/producer, Dominic Lalli and drummer, Jeremy Salken, are pioneers of blending electronic dance music with their live instruments to create Big G's truly unique sound; a sound that is as thoughtful as it is danceable. The band effortlessly mixes mature melodies with addictive beats and samples, familiar to fans of both Kanye West or LCD Soundsystem seamlessly crossing all styles of music from jazz to hip hop, funk to dubstep. And now Big Gigantic are set to release some music in the UK with their 4 track ‘Brighter Future’ E.P, taken from their recent studio album of the same name (released 2016). The album’s music reflects Lalli and Salken’s vision for uniting the world through music and community. As Lalli himself declares:“Now more than ever, we need to come together and work towards a brighter future for us, our children and for the human race as a whole.” The track “The Little Things" feat. Angela McCluskey has received huge acclaim, with over 3.5 million downloads, 20+ million streams, and landing sync placements everywhere from the breakthrough show ‘Empire’ to ESPN's Wimbledon 2016, Apple’s new Mac Book launch, HBO and NBA coverage. But Big Gigantic’s impact stretches even further than their music. After donating tens of thousands of dollars, school supplies, food and hours of their time to those in need through their #ABigGiganticDifference initiative, the band has taken their give-back mission to the next level. 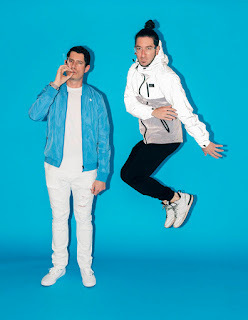 In 2016, the duo founded the non-profit A Big Gigantic Difference Foundation with the mission to spread positivity and enact change alongside their fans and community through events, fundraising, and donations from ticket sales. Big G is also a festival stalwart: 2017 marks the sixth year of Big Gigantic’s own headlining, two-night festival, Rowdytown in their home state of Colorado, at the legendary Red Rocks Amphitheatre which has sold out in advance year after year. Over the years, the band has been a must-see act on the US festival circuit, performing at the likes of: Coachella, Lollapalooza, Ultra Music Festival, Hangout, Austin City Limits, Governors Ball, Electric Forest, Outside Lands, Bonnaroo and more. Now Big Gigantic will be bringing the party to UK shores in the very near future, followed by further European festival dates. Not only that- look out for a UK only remix package coming soon, and a remix album later this year. Be ready for Big Gigantic.